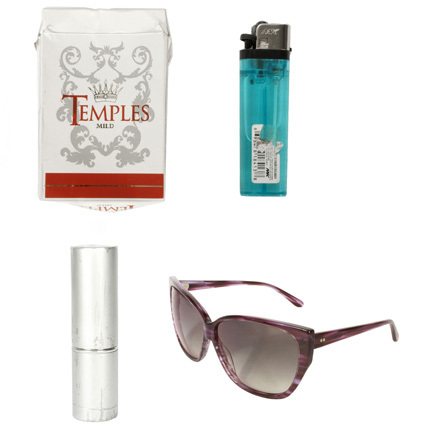 This pair of sunglasses, lipstick, cigarette pack, and lighter were utilized by the character “Blanche” portrayed by actress Christina Hendricks in the 2011 motion picture “Drive” starring Ryan Gosling. 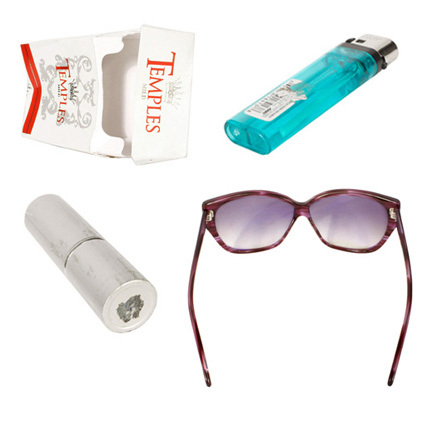 The items consist of a pair of Entourage of 7 sunglasses, pack of “Temples” prop cigarette pack, blue plastic lighter, and light pink lipstick in a cylindrical metal dispenser with detachable cap. 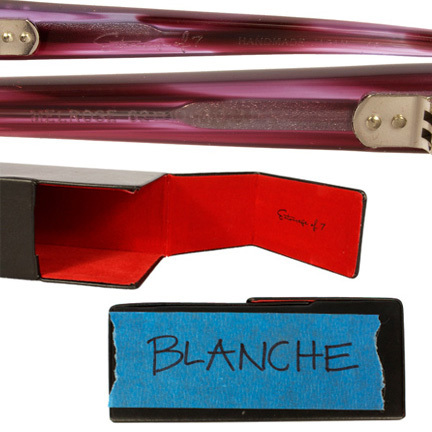 The sunglasses have their original case with the character name “Blanche” handwritten on blue tape. 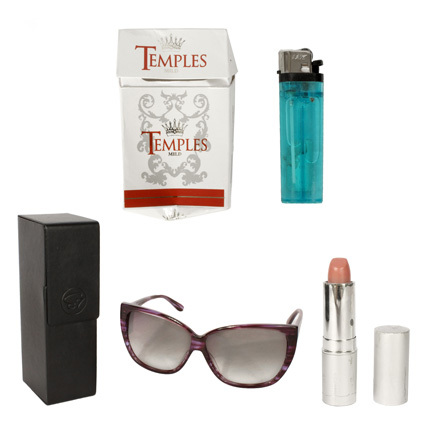 Blanche can be seen smoking and wearing the lipstick in her first onscreen appearance in the film when she, “Standard” (Oscar Isaac), and “Driver” (Gosling) meet with “Cook” (James Biberi) to discuss the pawnshop heist. The sunglasses were worn during the subsequent sequence when she and Standard rob the pawnshop. 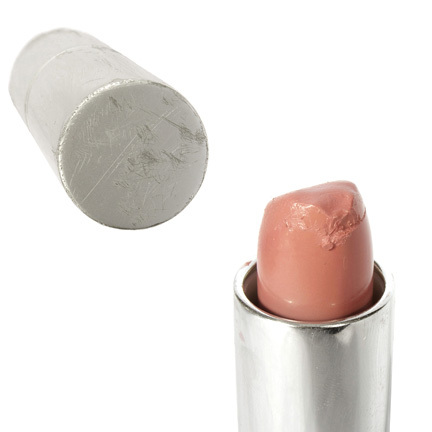 The lipstick dispenser was seen briefly in the scene where Blanche and Driver are ambushed at their motel room. Blanche also appears smoking and wearing the lipstick in poster and promotional images for the film. 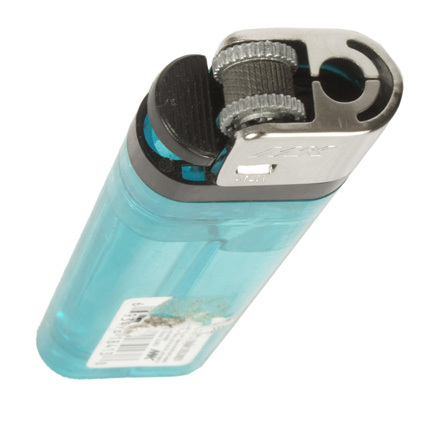 The items are in good screen used condition and the lipstick dispenser has minor scratches and evidence of wear from its use during filming. 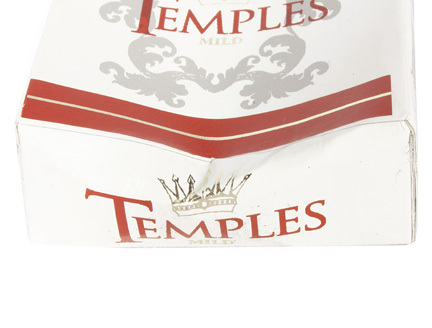 The items were acquired directly from the production company and are accompanied by a letter of authenticity. Presented by The Golden Closet, your premier source for iconic screen used wardrobe, props, and music entertainment memorabilia.